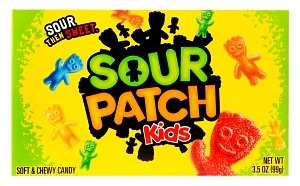 Sour Patch Kids are tongue-tickling "sour then sweet" soft gummies in four fruity flavours and fun kid shapes. 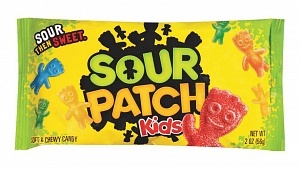 Sour Patch Kids are a soft and chewy candy coated in sour sugar. 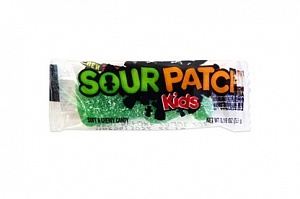 "Sour then sweet" describes how, when popping one into your mouth, you'll at first be hit by the sharpness of the coating, then discover that it gives way to the delicious fruit flavoured (and kid shaped!) 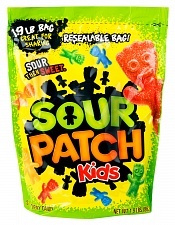 gummy candy. 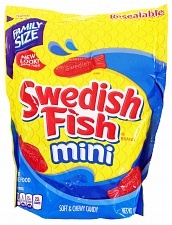 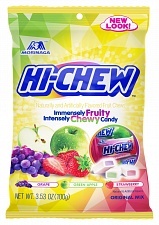 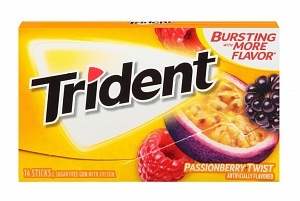 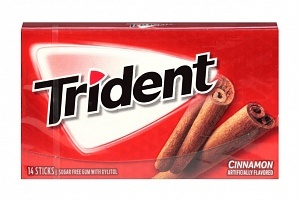 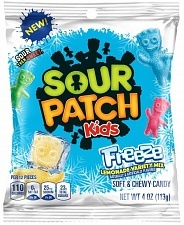 Flavours include lemon, lime, orange, and redberry. 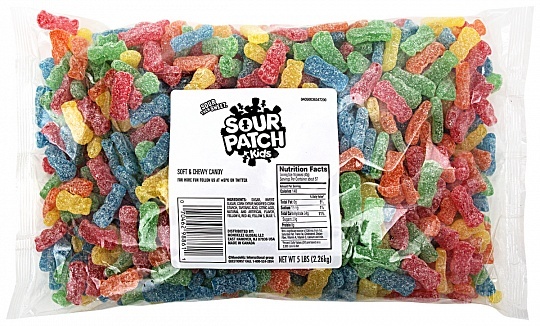 This mega bag of Sour Patch Kids is great for parties, candy bowls, wedding buffets and to curb the most serious of Sour Patch addictions! 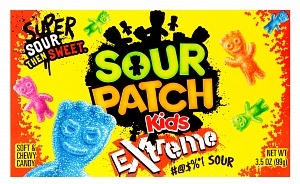 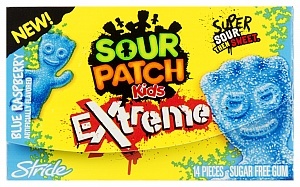 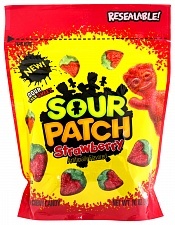 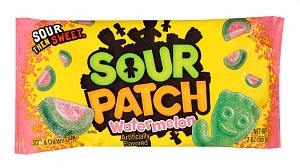 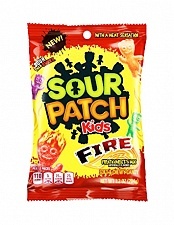 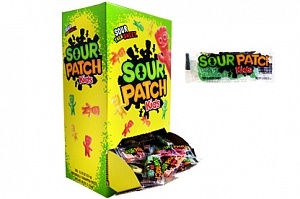 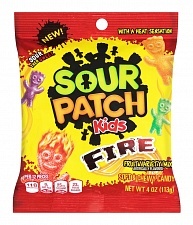 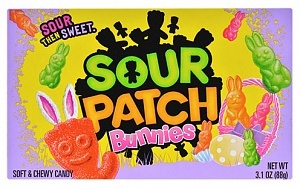 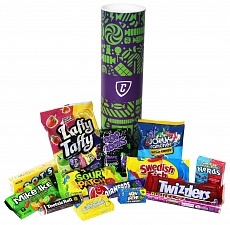 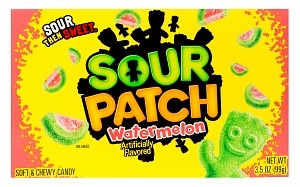 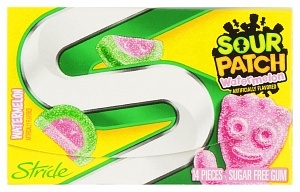 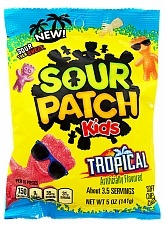 Sour Patch enjoyed early success in movie theatres, where it has become a staple - and due to this popularity it is now available in a great range of flavours. 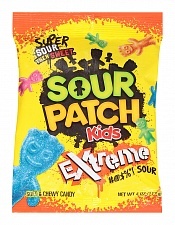 Sugar, Invert Sugar Syrup, Corn Syrup, Modified Corn Starch, Tartaric Acid, Citric Acid, Natural and Artificial Flavour, Colours (E110, E129, E102, E133).